OnePlus 5T may be real after all. 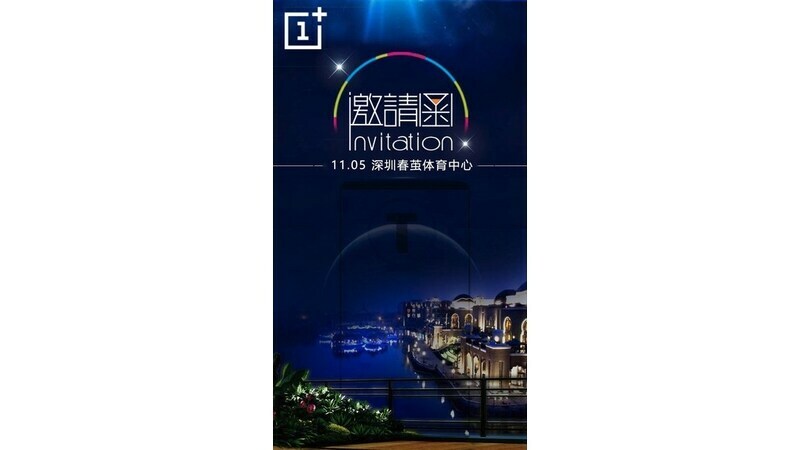 OnePlus has started sending invites for an event in Shanghai, China on November 5. The invite clearly mentions the letter ‘T’, and shows a smartphone with a bezel-less display, a trend most companies are following with their flagships this year. The news may come as a disappointment to OnePlus 5 users ahead of the launch, however, they should hold off on recrimination until all becomes clear. This is because, unlike last year with the OnePlus 3T upgrade to the OnePlus 3, the OnePlus 5T is not expected to be a minor upgrade – instead, it’s expected to an entirely new smartphone with completely different design. Update: It turns out, the invite was a fake. OnePlus confirmed this to GSMArena. To recall, earlier this month, a rumour had hit the Web that claimed OnePlus was due to launch the OnePlus 5T in November, and that it would sport a 6-inch full-HD+ (1080×2160 pixels) 18:9 display. The smartphone was said to look similar to the Oppo F5, a smartphone that has been leaked several time in the recent past, something that hasn’t been contradicted by the form factor of the smartphone visible in the OnePlus invite (obtained by GSMArena).